Over 140 years, the tiny terracotta Ashes urn has witnessed the rise of champions and heroes, villains and the vilified. Beyond the lush surrounds of Lord’s, Edgbaston, Old Trafford and The Oval lies a continent apart, where ‘history’ is replaced by ‘yarns’, and polite silences are instead filled with good-natured barracking. Playing on an Australian ground means facing more than just an eternal rival: scorching extremes in weather wear at the body, while equally blistering commentary from the crowds – reproach and reverence in equal measure – challenges the spirit. For England and Australia, there is no greater test than those that decide the Ashes and there are no battlegrounds quite like those that Australians call home. 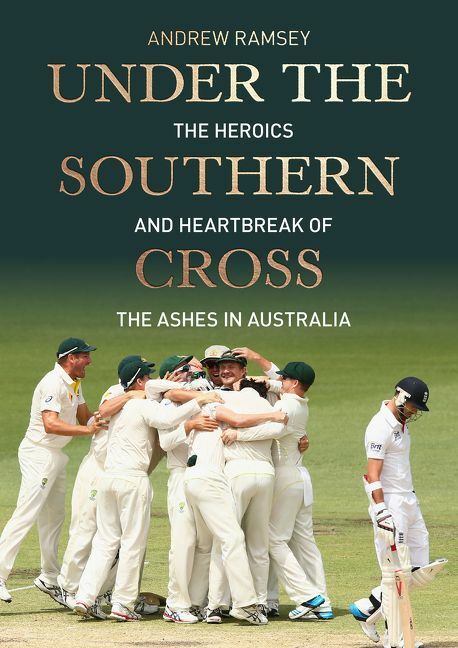 This illustrated history celebrates the greatest moments of the Ashes in Australia: from Bannerman’s first fending of Shaw’s opening delivery in 1877, to Cowdrey’s courageous defence in the face of Thomson’s fastbowling almost 100 years later; from Lord Harris’s near-encounter with a young Banjo Paterson, to Maclagan’s all-round superiority in the inaugural Women’s Ashes; and from Trumble’s unsurpassed dual hat-trick at the turn of the century, to Warne’s own hat-trick, bowling eyes closed, before the dawn of a new one. These are the moments where history was made, and spawn the yarns that will endure when all else has turned to ashes.